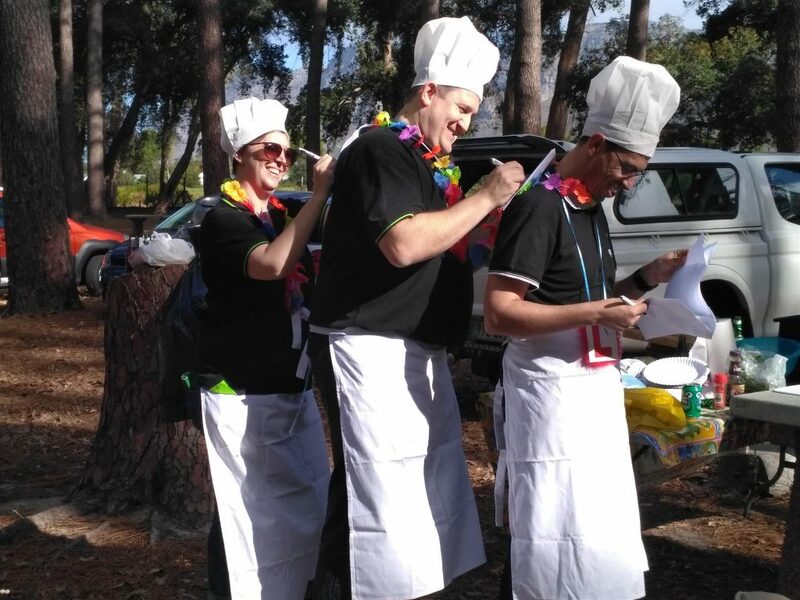 The start of the year can only mean one thing – SOLIDitech Team Events! Both our Johannesburg and Cape Town offices had fantastic afternoons for their respective event days. 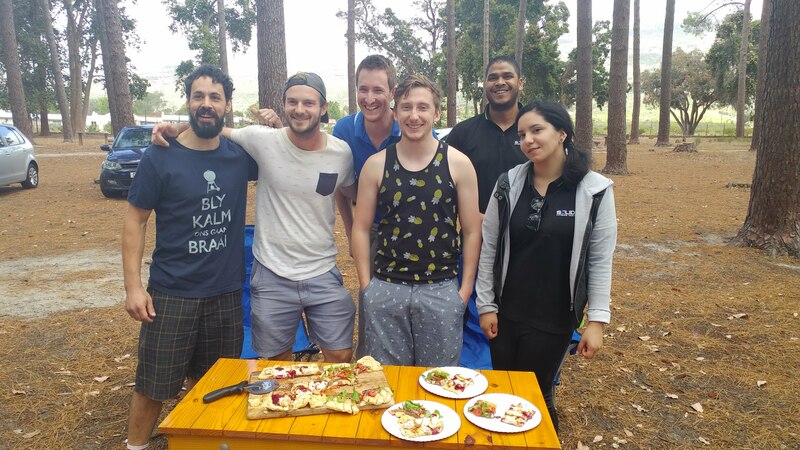 SOLID Johannesburg spent their afternoon playing Laser Tag and SOLID Cape Town set up kitchen in Tokai Forest for SOLIDitech’s 2018 Braai Master Competition. 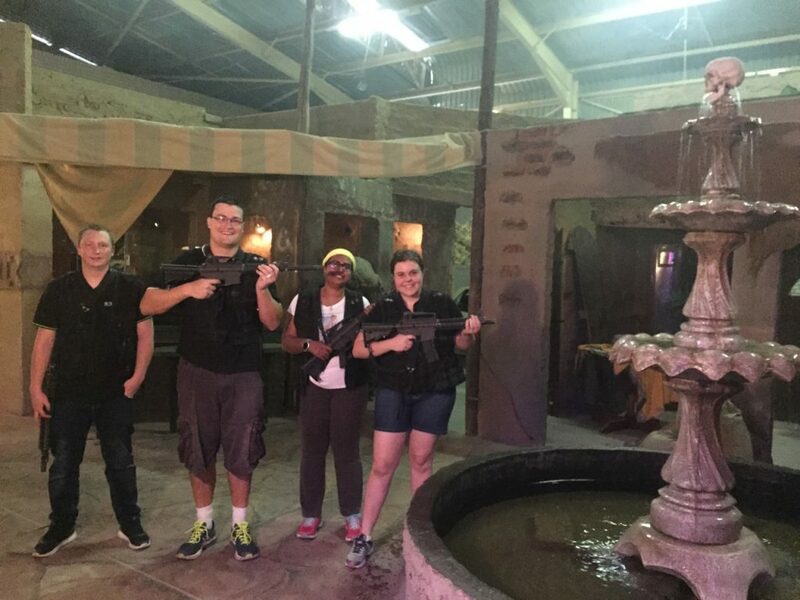 On Friday, 23 February 2018, SOLID Johannesburg spent their afternoon battling with lasers at Black Ops Laser Tag – “Think Call of Duty, but in real life!”. 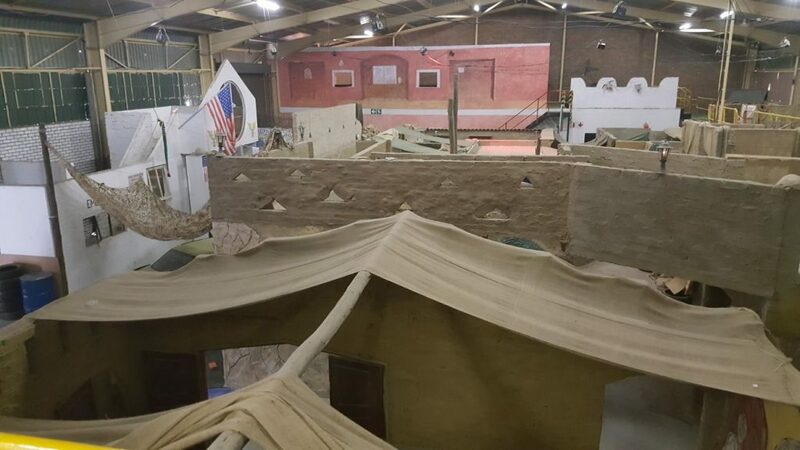 In a 90 minute session, SOLID JHB fought valiantly in “Battlefield Baghdad”, a 1,500 square metre field, in adrenaline-pumping war scenarios. The competition was brutal, but the SOLID team managed to accumulate a combined 139 kills and 138 deaths. Some players took to the skilled (and smart) art of setting-up camp and taking out opponents one shot at a time, others went on the rampage – the largest ‘killing streak’ was a whopping 12 kills! There were many laughs and even more “bullet wounds”. It was great to see the team have such a great afternoon spent ducking and diving, trying to miss those shots. On Friday, 16 February 2018, SOLID Cape Town made their way to Tokai Forest with firelighters, charcoal and cooler boxes in tow. A slight drizzle earlier in the afternoon would not deter anyone from attending the SOLIDitech 2018 Braai Master Competition. 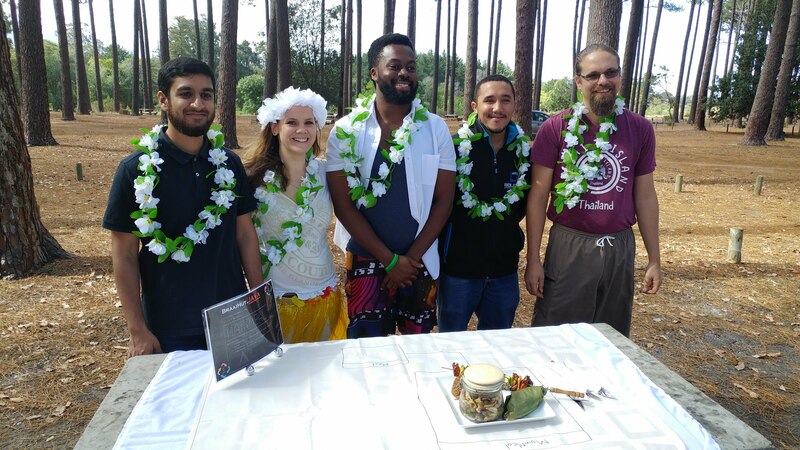 The competition was tough: there were teams who set out to braai the perfect steak (and boy did they deliver), some teams made Braai-pies (Thank you PIErates) and others managed to braai stir-fried rice perfectly. The Ultimate Braai Masters plated grilled fish in banana leaves, stir-fried rice and sweet caribbean chicken sosaties. This created the perfect “Java” themed experience! The only thing better than homemade pizza dough is the toppings that go on said dough, such as: chicken, brie and cranberry sauce or steak, red onion, cherry tomatoes and rocket. You can never go wrong with sliders. 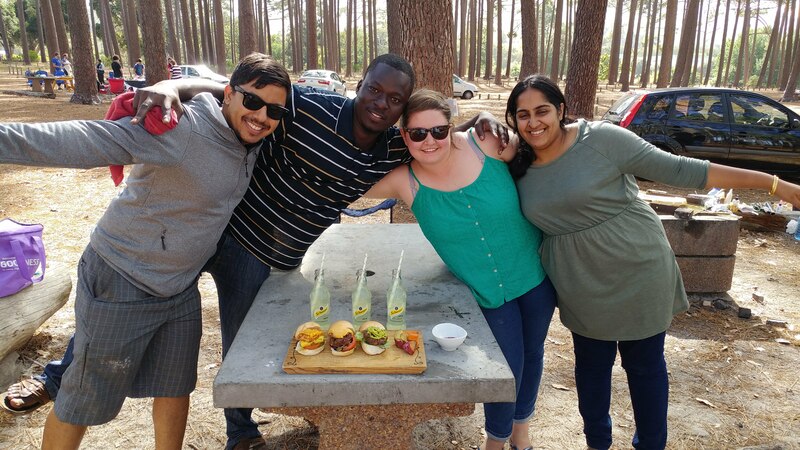 The team presented a mexican burger, a sweet chilli chicken & pineapple burger and a traditional cheese & mushroom burger. Despite burnt fingers and a slight drizzle earlier in the day, everyone had a fantastic afternoon. It was great to see everyone sharing their dishes between teams after judging took place. Want to be Part of the Next SOLIDitech Team Event? Our staff are the lifeblood of our business. If solving practical business problems with some pretty awesome software and disruptive thinking sounds like your cup of tea (or coffee) – drop us a line. SOLIDitech is always looking for talent so take a look on our recruitment page for vacancies at SOLIDitech.